[ARCHIVED THREAD] - Is there an expert here that knows about vintage road bicycles? 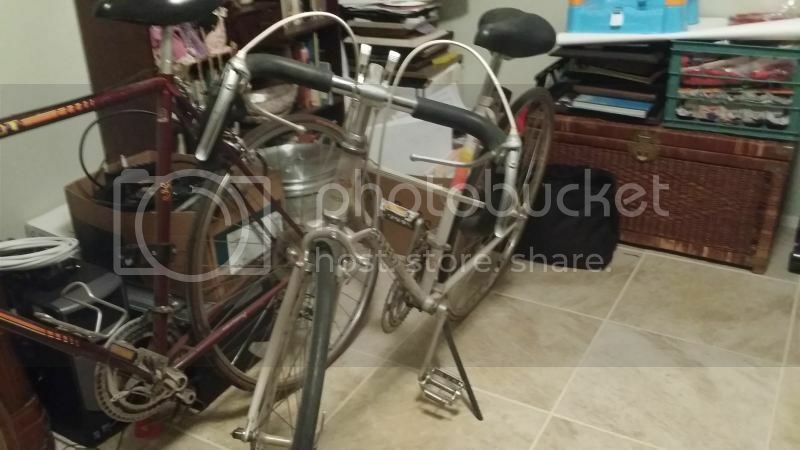 My dad has 2 really nice vintage Peugeot road bicycles. They need a minor tune up and some tires. He wants to sell them but we have no clue on the pricing. 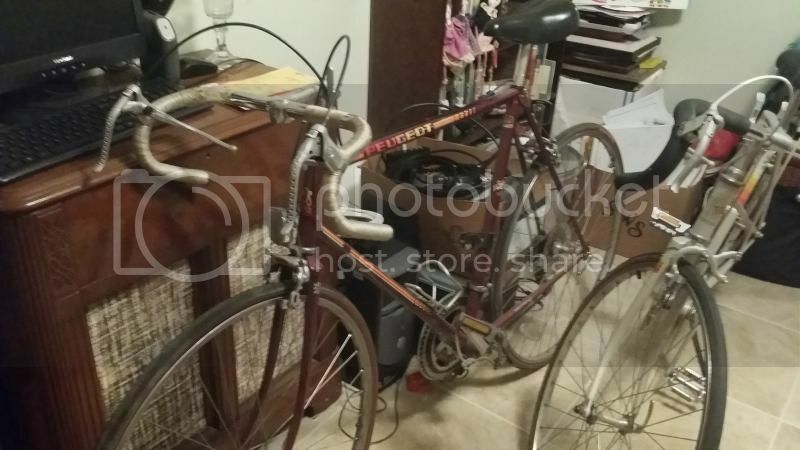 I have found several vintage Peugeot bicycles online and they can cost a pretty penny. Anyone's help would be greatly appreciated. I'm not an expert but I do ride and know a little about older bikes. Based on the center pull brakes, comfort brake levers & stem mounted shifters I'd classify those bikes as middle of the road models and probably aren't worth a lot of effort/money - probably less than $100 each. I could be wrong though. Do you have any used bike stores near you? Yes. I told my dad that he needs to get them tuned up and appraised. Who manufactured the components and wheels? I bought a Peugot bicycle in about 1979. They had a wide range of models at that time. I have the same white one in my shed. It's a 27 inch. That is not the original seat. Original seats were leather. Not sure what it's worth, as far as bikes go it's old tech for sure. The frame is steel. I'm guessing mine was around 1974. A collector will want them as is. Looks like gaspipe bikes....$50.00 to $75.00 each. Yeah, not worth much, I'm afraid. . .I had a late 80's Rossin. . paid $900 for it in 1987 (didn't include wheels, either). . .sold it about 3 years ago. . . with TWO sets of rims/tires, and a bunch of Campy spare parts (brakes, derrailleurs, etc). . .I think I got $500 out of the deal. . . I had a top of the line Peugeot bike around 1980. . . all the bolts, screws, etc, were slightly different sizes from the Italian bikes----what a PITA. . . .
That being said, they're still great rides. Steel is real. I honestly have no clue. I am going to have to take it to a shop. Just ask one of the local hipsters, they can tell you everything about your bicycle. Normally found at a coffee shop or liberal arts college.